DAVID LE/Staff photo. 2/11/15. 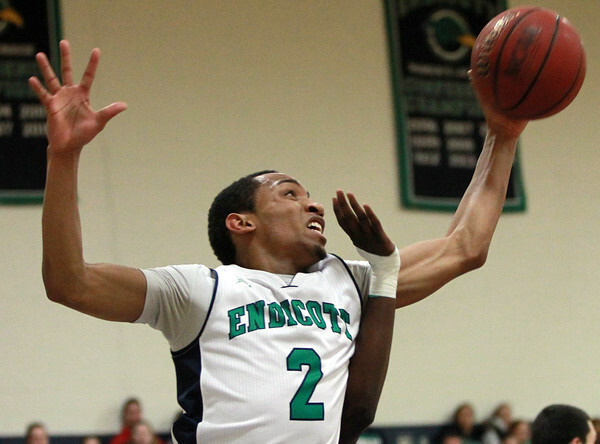 Endicott College sophomore guard Kamahl Walker (2) grabs a rebound against Nichols on Wednesday evening. The Gulls defeated CCC Conference foe 85-80 at the MacDonald Gymnasium on Wednesday evening.